Achieve business success with Virtuagym's martial arts studio software. Streamline your workflow, minimize repetitive tasks, and spend more time with your students. Our martial arts studio software gives your students freedom to view your class schedule, book classes and pay before they even step foot in your studio. 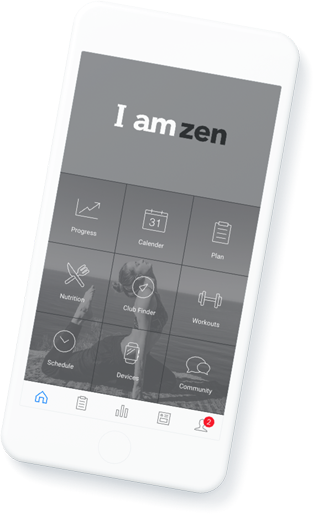 Build a martial arts community with your own mobile app, connect students, create an online community, stay up-to-date and drive long-term success. An engaged student is a loyal student. Increase touch points with your students and drive engagement with your own Martial Arts app. Easily personalize your messaging by targeting individual students or specific groups. Increase class bookings and attendance with flexible booking and communication tools. Transform your passion into a sustainable business with our Martial Arts Studio Software. Sell more memberships with a seamless online sign-up and billing platform. And whether you’re charging for a single class, a 15 class package, or selling merchandise, our Martial Arts Software makes processing payments easy. Automatically update instructors’ schedules when a student books a class. Virtuagym’s studio scheduling software allows your students to independently book classes, both online or via your scheduling app. You want to connect with your students and you want to stay available without too much hassle. With our martial arts software, you can create your own online community. You can send messages and give updates whenever you need to. How can our martial arts management software grow your business? When your business is successful you get more students and the number of administration tasks will grow. You don’t want to lose yourself and you want to keep a clear overview. You need to find quicker ways to handle tasks on a bigger scale. Virtuagym martial arts studio software keeps the piece in your head and helps your business grow. How can our management software help your business? With Virtuagym's martial arts management software you don’t waste time with back-and-forth emails. You don’t have to go over complicated csv files and you don’t need to run around with pen and paper. With our martial arts software, you can automate important daily tasks. Next to that, you can get a better insight in the behavior from your students. You can spot patterns and trends which help you to make clear business decisions. Why do you need a software for your studio? With the Virtuagym martial arts software, you have all the powerful tools so you can run your martial arts studio effectively. You can give your students the comfort to book classes and view their schedule anytime, everywhere. You can track their progress and track their attendance. What is our martial arts management software? Virtuagym's martial arts studio software is designed to help you grow and manage your martial arts business, so you have more time for your passion. Our powerful software helps you with your daily tasks like member management, payment processing and class scheduling. With our martial arts management software you will be ready for the future!